Our mini giftbook about love is the perfect gift for anniversaries, birthdays or Valentine’s Day. 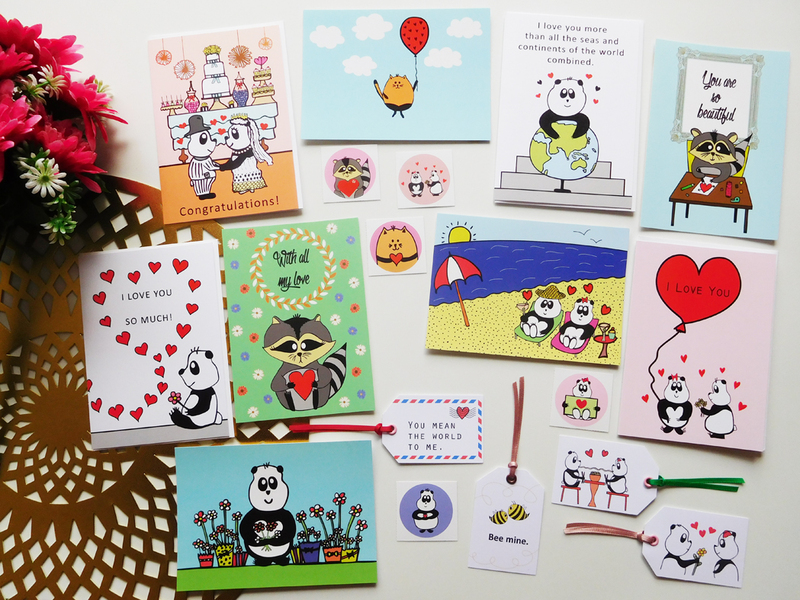 Featuring 11 illustrations of Mishka – the adorable panda, and heartfelt captions on each page, this book is sure to make the love of your life feel truly special. Our book has a glamorous glossy front and back cover and high quality artwork and text throughout all 20 pages. “Remembering One Tree Hill” is an 86-page lined notebook, which can be used as a reflective journal by fans of the hit show One Tree Hill. Fill it with photos of conventions attended, favourite quotes from the show, or simply use it as a motivational diary. Our notebook includes realistic illustrations of character homes featured in the show. Our “Tree Hill is Home” Collection of five postcards and a wall print is an illustrated version of the fictional homes of the characters in the TV drama, One Tree Hill. 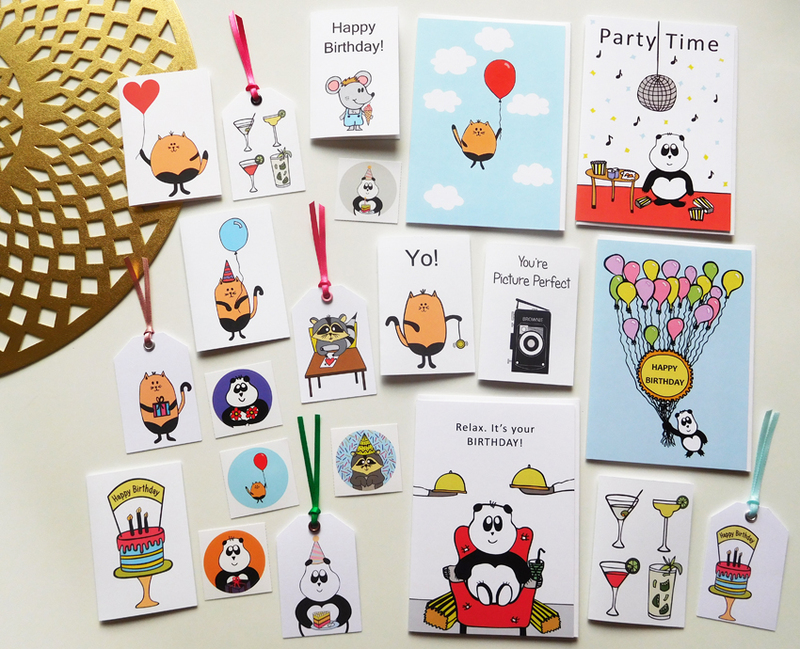 Our “Mishka Collection” greeting card range features hand-drawn panda bears in many fun scenarios, with eye-catching colours and heartfelt captions. We love to make things out of paper, and although it is a time-consuming process, we let the work speak for itself. Each individual flower is made of 5 petals and is completed with a central embellishment. Children in particular seem to truly love our Graceful Flowers! Personalise your gifts in a special way with our high-quality, colourful gift tags. We have two themes available: Love and Birthday. Our Mishka bear makes an appearance on some of the cute designs! We’ve designed our “Mishkas in Europe” prints with our favourite European cities in mind, including Barcelona, London, Paris and Bruges. 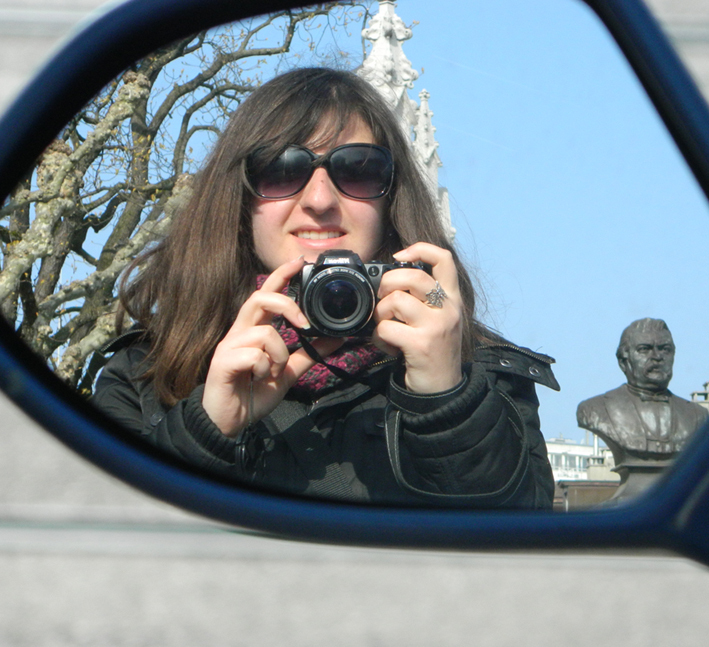 Take a virtual journey to Paris, the City of Light, and discover the sights, tastes and sounds through the words, photographs and illustrations of a tourist who spends 8 enjoyable days of autumn in the beautiful French capital.